Anyone who rides a bike regularly will at some time have dreamt about owning their dream bike. This may not be the ‘best’ bike but simply the best bike for them, the type of rider they are, where and when they ride. Author and journalist Rob Penn decided to do just that, to create his dream bike. In doing so he travels the world meeting the prioneers, mavericks and creators to put the parts together for his perfect bike, meeting some fascinating characters along the way. 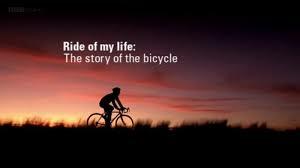 The Ride of My Life however not just the story of a bike obsessive getting his dream bike built, it also tells the history of the humble machine from Baron Karl Drais’s ‘running machine’ through to the bikes we know today. In doing so Rob engagingly tells the story of how the cycling pioneers were drivers of social progress way beyond their early imaginings.